Our Faculty has a clear vision to deliver a curriculum that allows students to develop their scientific skills and knowledge to support their curiosity in the world around them. 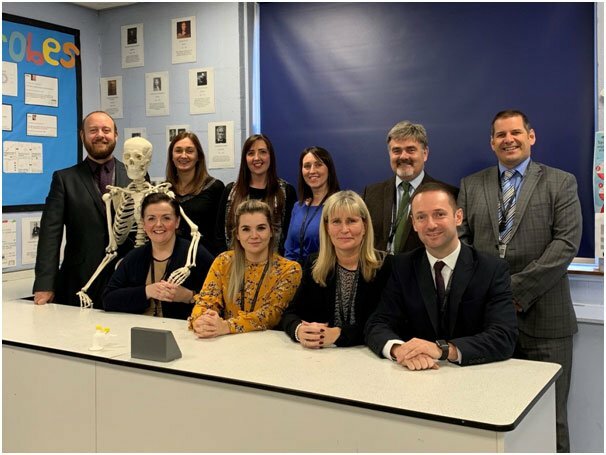 As a team we are unified in our passion for science and students have the opportunity to enquire and investigate phenomena observed on a daily basis. We have 6 specialist laboratories and there are regular opportunities for students to carry out practical work using a range of traditional and modern apparatus which engage learners. Science is important to us all as it gives a deeper understanding of the world in which we live in and will ensure that our students are lifelong learners who are confident to question and discuss science based issues that may affect their own lives. We look forward to working with our students each day to uncover why things happen. That unlimited potential is exciting and that is why science is so amazing!